Take a deeper look at their bright eyes, silky ears, and wet noses - dogs give us their unconditional friendship and a sense of security: ‘Together – forever’ is the wish of all dog owners. Kate Kitchenham takes dogs newbies by the hand and guides them through exciting life experiences with their new family member. Choosing your new dog, settling in, training, exercise and games: You can learn everything you need to know to ensure man and dog become a happy team. Kate Kitchenham is a specialist journalist and author, has her own dog training school and regularly appears on TV.She prefers to play games that she can integrate quickly and easily into daily life with her two dogs Erna and Knox. Heiner Orth ist erfahrener Hundefotograf und arbeitet u.a. 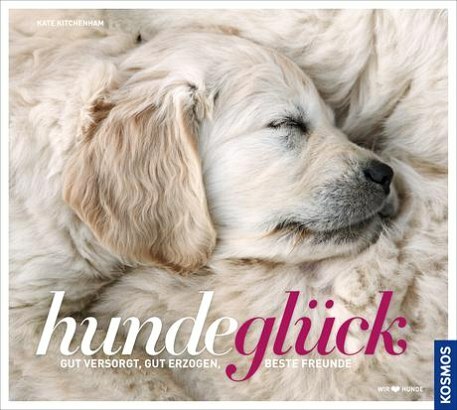 für das Hundemagazin „dogs“. Two experts offer guidance on successful and timely hunting dog training. What Lives in the Mediterranean?